A winter wedding at Chateau Rhianfa, it doesn’t matter which season it is, it’ll always be beautiful. I do admire brides and grooms who choose a location for their wedding when they don’t have any kind of link to that destination. 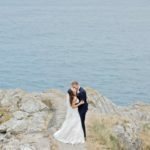 Anglesey is becoming more and more popular as a destination for weddings. 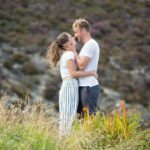 Couples fall head over heels in love with the island. 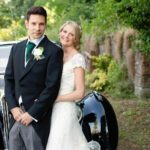 Chateau Rhianfa, situated on the Menai Straits is just so romantic, it’s perfectly easy to understand why so many couples choose it; Victoria and Dmitijs did. The chateau’s rooms lend themselves to celebratory occasions. Today we were in The Duke with its dark, baroque, heavy gilt furniture, a perfect setting for Victoria. My camera loved her. Needless to say this was the first time that Victoria and Dmitijs’s guests had visited Anglesey, they came from all over the globe. Victoria and Dmitijs even brought their own minister to take their ceremony. He was french and very friendly. The ceremony took place at Our Lady Queen of Martyrs in Beaumaris and then back to Chateau Rhianfa to continue the celebrations. I love working on Anglesey, it’s my home and I’m very proud of it. If you’re organising a wedding on Anglesey I’d be delighted to be part of the day. Please contact me for more information here. Victoria chose to work with Julia Nicholls, Rhiannon Pritchard , Hayley’s Piped Dreams and Carol from Acacia Flowers. All talented, friendly people that I’m happy to recommend.